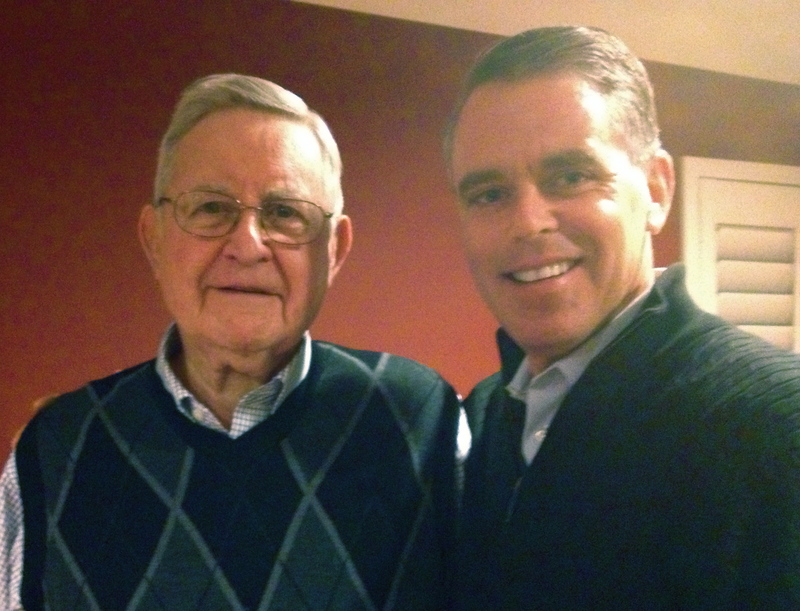 Author’s note: My 89-year-old father is also a Catholic priest. As a widower, he entered the seminary at age 62 after running his own business for years. At age 65, he graduated with his master’s degree in theology and was ordained a Catholic priest. His experiences of growing up in the Depression, serving in WWII in China, raising six kids, having 18 grandchildren, and running his own business have given him insight, wisdom, and a great sense of humor about life. Here I share short wisdoms from my father the Father. “What time do you think you will be here?” my dad asked over the phone on a Sunday night. “The doctor’s appointment is at 9, so why don’t I pick you up at 8:30?” I replied. “Better make it 8:15; traffic could be heavy,” he replied. The next morning I headed out for my dad’s place at 7:30 a.m., for what is usually a 40-minute drive. I was distracted in thought, with several work-related issues that were on my mind. A full week was in front of me and a number of things were going on with the family. As I pulled onto the freeway, I noticed red lights ahead of me, as if on a string, as far as I could see. Traffic inched along and I saw the time ticking away. I could feel my frustration begin to rise, as it was clear I wasn’t going to make it to my dad’s place by 8:15. I had this long list running through my head of all the things that needed to get done on that particular Monday. And here I was stuck in traffic trying to get my dad to a doctor’s appointment. I caught myself running down a thought path that wasn’t very helpful. I literally said out loud in the car, “Mike, be grateful. You could line up a million men who would give anything to be on the way to see their 89-year-old father and take him to an appointment.” So that’s what I did. I started thinking about how much of a privilege it was to be able to do what I was doing at that very moment. “And I have picked up Anthony de Mello and am reading him again. He says that one of the very top things for us is awareness. I guess those two go hand in hand. 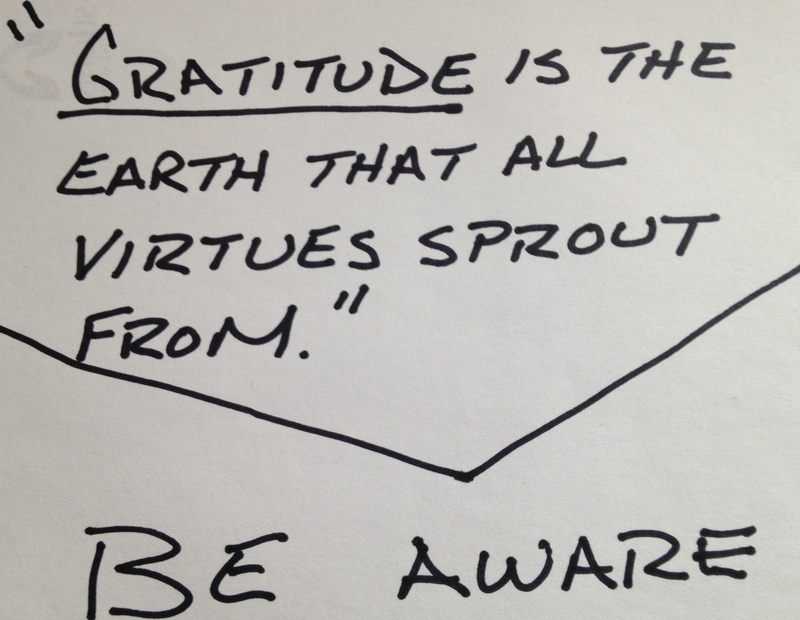 The more you grow your awareness, the greater likelihood you will be grateful,” he reflected. “It is strange you say that, Dad. I was working on that very issue this morning… and at times not so successfully,” I said. After I dropped him off to race back to work, I stopped for a minute and wrote myself this note as a reminder of the wisdom shared. Prev Design + Social Impact: Why Do They Belong Together? Enjoyed the thoughts ALMOST as much as the photo – thanks for including it! Thanks Carol. He is fun to write about. Thank you for sharing. In my (recent) journey to being present, I am inspired by stories that show the results when you are aware in the moment. How wonderful that in that moment you were open to experience a lesson from your father. I have found that when I am aware in the moment, there is an overwhelming flow of positive energy of love, joy, beauty, etc. There’s nothing better.